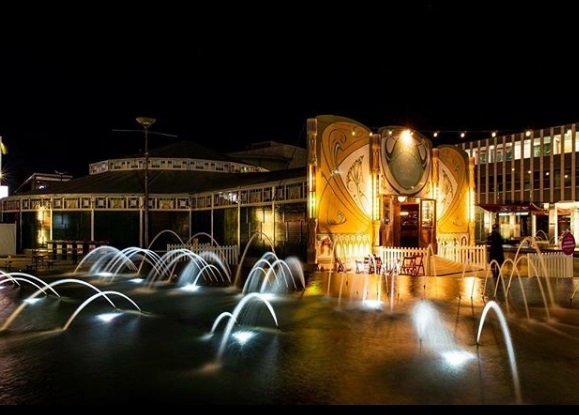 Spiegeltent this year promises to breathe new life to the cabaret circus. Image of last year’s event from Instagram. Naming your theatre production “Life: the Show” is a pretty big call, even in a venue as renowned for extravagance as the Spiegeltent. Director Scott Maidment says he wanted to do “something epic”, but having come up with a really big idea, he had to live up to it with the production. And since the result includes a flying saxophonist whose day job is touring with the Violent Femmes, it’s a safe bet to say he’s achieved his goals. “Life: the Show” plays at the Spiegeltent from March 30 and follows two clowns, one from Brazil and one Dutch (expect spectacular headdresses). There’s live music, singing, dancing, circus acrobatics, and review elements Maidment says people may never have seen in the theatre before (including what the show notes describe as “attempted pyrokinesis”, or the ability to create fire with the powers of the mind). “The first half is observational, where we look at an average person’s life and the second is celebrational. The show says it’s good to be alive and that we should celebrate humanity,” Maidment says. The performance happens in and around the audience who are a critical part of the show, as is the Spiegeltent itself. “It’s an amazing unique environment with so much atmosphere. The performance is in the round, and that means it’s a unique way for the audience to interact. Here you see the audience across the space and it becomes infectious because you see people laughing or crying or having a good time. And that’s where Blaise Garza comes in with his flying saxophone. The former child actor who appeared on the soap opera Another World reinvented himself as a multidisciplinary performer and has been touring with the Femmes since 2004. 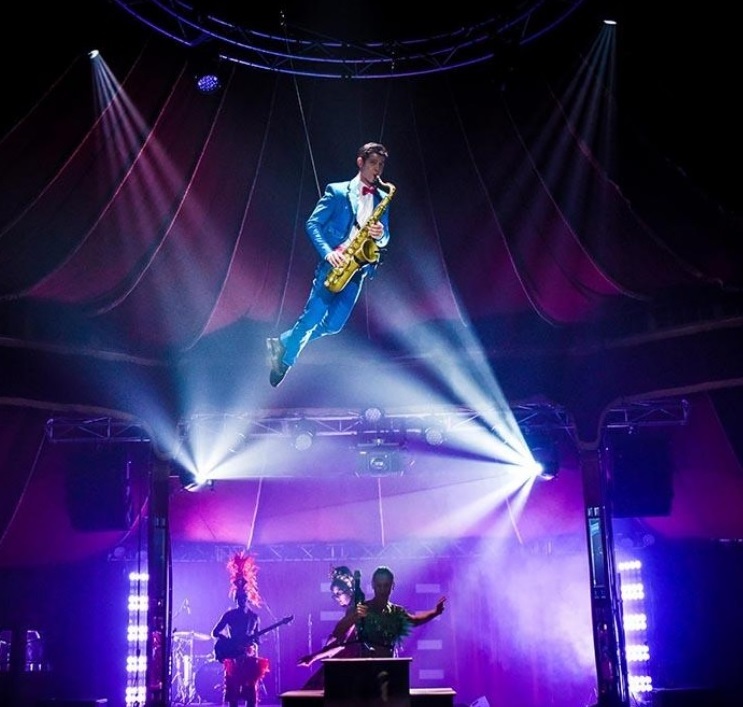 He’s been interested in the circus for years and leapt at the chance to combine acrobatics and the saxophone. Blaise Garza, the flying saxophonist. Photo: Supplied. “Surprisingly I picked it up fairly fast. It’s challenging to keep breath flow going for the sax in a harness because it’s quite tight around the diaphragm. Keeping the mouthpiece centred while flying around is pretty tricky because if you lose the reed there will be no sound. I definitely destroyed a few reeds and cut my tongue a few times,” Garza says. Life: the Show is in the Spiegeltent at the Canberra Theatre from March 30 to April 21. WIN A VIP private booth for yourself and seven of your friends + a bottle of sparkling with priority entry for LIFE: The Show at 8:30 pm on Wednesday, 3 April. To enter, simply tag one of the seven friends you want to bring with you to the show on Facebook! Competition closes on Friday 29 March 2019, 17:00 EST. *Tickets are non-refundable and non-exchangeable.